He says there is direct evidence implicating the former Party of Regions faction head. There is hard evidence that Oleksandr Yefremov, the former head of ex-President Viktor Yanukovych's Party of Regions faction, is one of those to blame for the war in Donbas, Prosecutor-General Yuriy Lutsenko has said. "Yefremov is nearly the first and the only suspect over the entire history of my work for whom I feel sharp aversion. The evidence, not emotions, shows that this person opened the door to war in our country. These are not my emotions but the evidence which the investigation was provided by various people," Lutsenko said at a briefing. "We have facts received from various people, not only from [Party of Regions ex-MP Volodymyr] Landyk, as his defence says. I would even say, not from Landyk at all. Landyk's testimony is rather voluminous but it did not affect Yefremov directly. He did not witness Yefremov's acts or deeds in person. He speaks about the consequences of his actions. This also is evidence, albeit indirect one. We have direct evidence from people who saw with their own eyes Yefremov's actions or calls to commit state treason," he said. 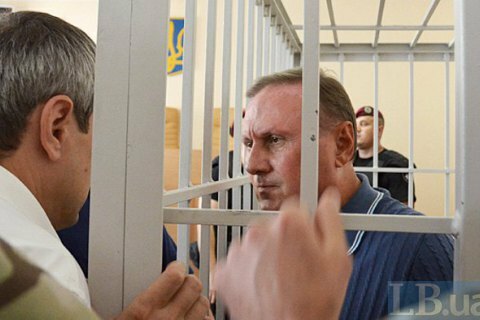 Among other charges, Yefremov is suspected of facilitating the establishment and operation of the self-proclaimed Luhansk People's Republic.